On Saturday, I went out with Krisi, one of my oldest friends. I’m sure I’ve said this before, but we both love food. 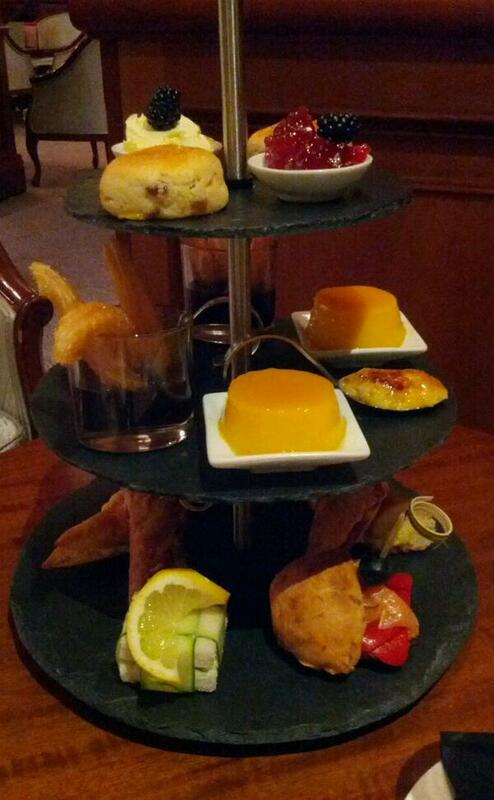 Last month, we went to have a traditional afternoon tea in a hotel in Kensington. This time, taking advantage of yet another 2-for-1 deal, we opted for a Spanish-style afternoon tea in northern-ish central London. Doesn’t it look just utterly delicious? And since Saturday was also my name day (it’s a Finnish thing; not sure if other countries have it too? ), I did what I do every year to celebrate: I bought myself some music. This time, I bought “Thirteen Tales of Love and Revenge” by The Pierces. I discovered them when I started watching Pretty Little Liars. Their song Secret is the theme tune to the show. And after streaming it through Grooveshark for like three weeks on an almost endless loop while at work, I decided that I really should buy the album since I like it so much. All of the songs are quirky and most are really catchy. I’ve even woken up humming or singing the lyrics, because they’ve been stuck in my head. And I foresee myself buying more of their work as soon as I get bored with the current music playing on iPod. I highly recommend giving them a shot.